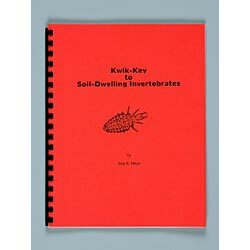 Kwik-Key is designed to help students identify many of the invertebrate organisms commonly found in soil or ground cover. Used with a Berlese funnel in the classroom or stand-alone in the field, the key can be used to take your students on an exciting subterranean soil safari. Once specimens have been identified, students can estimate population density and extrapolate their findings to a per-acre or per-hectare basis. References. 43 pp., softcover.